Designed by Stefanie Schwarz in 2008. Published by FontFont. FF Polymorph supports up to 50 different languages such as Spanish, English, Portuguese, German, French, Italian, Dutch, Swedish, Finnish, Danish, Irish, Basque, Luxembourgian, and Icelandic in Latin and other scripts. A lie has no intrinsic power. It only gets power when someone agrees to believe it. About 500 characters from 43 scripts can be read as Latin letters. According to their formal characteristics a lot of the 500 selected characters are divided into four groups: serif, loop, decoration, and interruption. 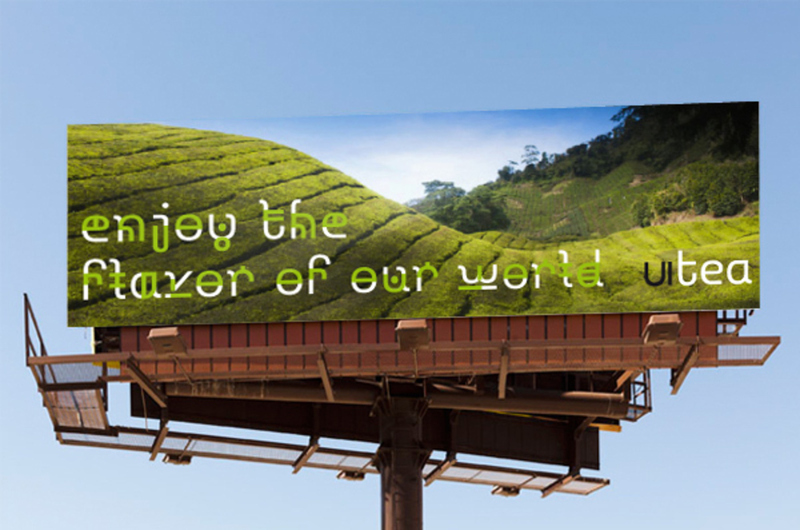 FF Polymorph is a typeface inspired by the characters of the world. Therefore, characters with the shape (not meaning) of Latin letters were selected from the Unicode Standard. The result is a basic font, that turns into four styles, or rather four directions, which are inspired by the preceding classification. 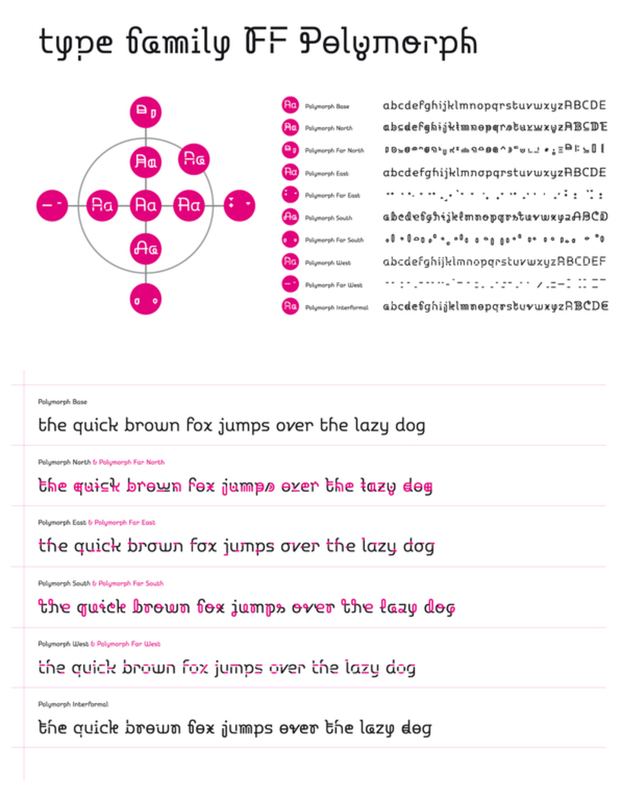 Every direction has a second style, which exists only on the characteristics of the font it is based on. This code of variation can be layered above its legible equivalent or just used for decoration.